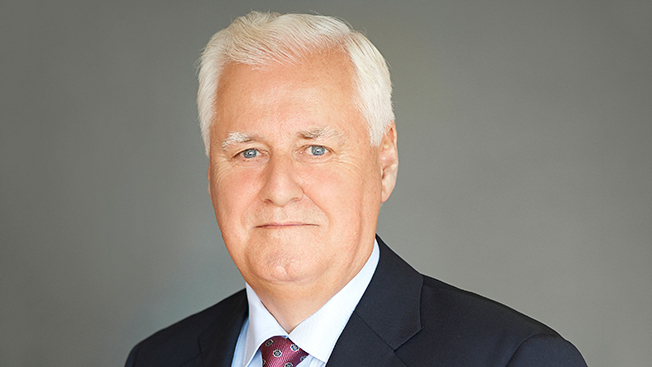 Time Inc. CEO Joe Ripp is continuing his winnowing of the publishing company ahead of its spinoff from Time Warner, announcing layoffs while eliminating the longtime brand operating clusters that contained the company’s diverse titles. Instead of having News/Business/Sports, Style & Entertainment and Lifestyle groups, a legacy of the former CEO Ann Moore years, the company’s titles—including 25 U.S. magazines like People, Time and InStyle—will be consolidated into one group under evps Evelyn Webster and Todd Larsen, who now run the company’s lifestyle and news/business heads, respectively. Going forward, Webster will supervise the former Lifestyle group titles along with InStyle, People StyleWatch and People en Español. Cash cow People will be added to the news, business and sports titles under Larsen. "Part of positioning ourselves for transformation means we must also make some substantive and sometimes painful changes to the way we operate and approach our business," Ripp wrote in a memo to employees. "We need to dissolve the complex matrixed organization created several years ago, remove layers that slow us down and free up investment dollars to deploy in growth areas." Ripp went on to say that Time Inc. would be looking for ways to drive more savings, including exploring real estate options, confirming earlier reports that the company was looking for cheaper office space outside the Time Life building in Midtown. Two longtime execs are leaving the company directly as a result of the reorg. David Geithner, evp of the Style & Entertainment Group (and brother of former Treasury secretary Timothy Geithner), is leaving after 21 years there. Also exiting is Ed Kelly, the president of American Express Publishing, which Time Inc. recently acquired. He was with AmEx 25 years. In his own memo, Kelly called out four additional employees, members of his leadership team, who would also be leaving: Paul Francis, Jane Libert, Cara David and Tracy Kelliher. Ripp also announced the appointment of Mark Ford, president of the Sports Group, as evp of advertising sales. That selection ends the company’s longtime search for a chief revenue officer to replace Paul Caine, who left the company last year. The title was changed to ad sales head to more accurately reflect the position since it includes oversight for corporate sales and custom content but not consumer marketing, per an insider. With the reorg, Ripp said there would be an unspecified number of layoffs, confirming his earlier comments to employees that the company would look to shore up its finances ahead of the spinoff expected later this year. In the first nine months of 2013, total revenue declined 3 percent from $2.47 billion to $2.39 billion, with circulation revenue off 7 percent. The reduction is estimated to add up to fewer than 500 people, which would amount to just over 6 percent of the company's 7,800 workforce worldwide, per an insider. That would be roughly in line with cuts that have been made over the years at Time Inc.; the last big round, in 2013, eliminated 6 percent. The cuts are expected to be spread throughout the company although AmEx Publishing and support functions are expected to be hardest hit because of the duplication that will result from AmEx’s integration into the company and the elimination of the clusters. AmEx titles, including Food & Wine and Travel + Leisure, will relocate to Time Inc. headquarters in mid-March. Already, AmEx has closed one of its smaller titles, Executive Travel.